FamilyMart is now accepting loading and payments via beep™ card, the same tap-and-go card you use for your train and bus rides. The Japanese chain FamilyMart partnership with beep™ card’s proponent AF Payments Inc. marks the Ayala Corp.-Metro Pacific Investments Corp. consortium’s first move out of transportation and into retail. 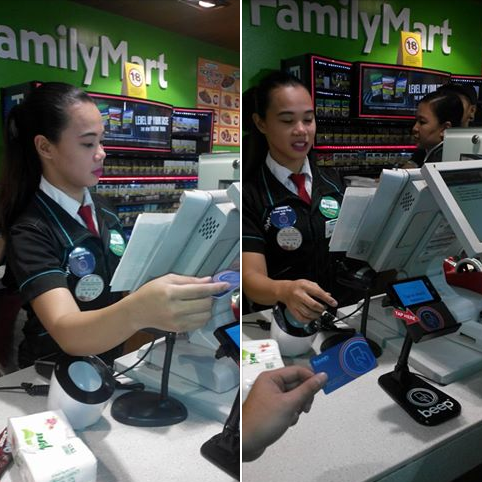 With the cashless transactions that FamilyMart offers through the beep™ card, Filipinos who rely mostly on convenience stores for quick purchases will benefit from the time saved and ease of transactions. This Smart Card-based E-payment System is a time saving device that looks promising given the success of Octopus Card implementation in HongKong. 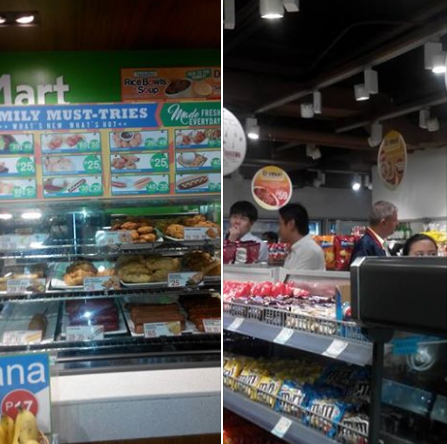 Family Mart is the second largest chain of 24-hour convenience stores in the world, with over 18,000 branches in Japan, Taiwan, Thailand, Vietnam, Indonesia, Malaysia, China, and the Philippines. It first came to Manila in April 2013, with the Glorietta 3 store as its flagship branch. Family Mart has become a favored hangout for its café-like experience, having brought here fan-favorite items like popular Japanese fares sushi, onigiri, katsudon, soba, and ramen, as well as ready-to-eat gourmet sandwiches and fresh salads. Coinciding with the beep™ card launch is the promotion of Family Mart’s newest offerings, namely, their Rice-in-a-Box Line featuring everyone’s favorite, Yang Chow Fried Rice; Fresh Fried Lumpiang Shanghai; Solo Pizzas; their Donburi range featuring Beef Caldereta, Pork Binagoongan, Chicken Galantina, and more; and new dessert cups featuring Mango Graham and Banoffee variants. With beep™ card acceptance, patrons can now just grab what they need or want, proceed to the counter, and tap their beep™ card to pay. “We are thrilled to be part of the beep™ card network as its first ever retail partner. We constantly look for ways to offer our customers more convenience through our products and services, and I’m sure they will love this new addition to FamilyMart. 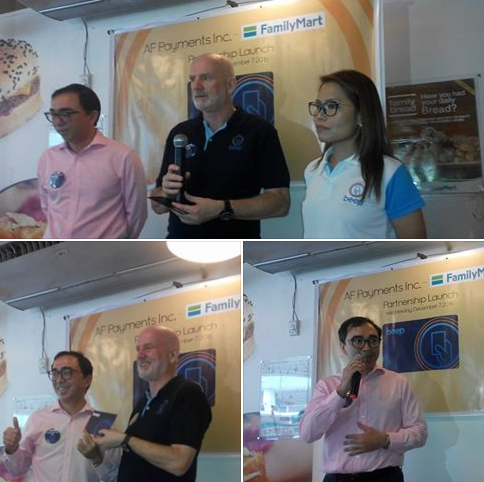 Now, they can enjoy their Family Mart favorites better through cashless transactions and being able to load your beep™ card in our stores will make it so much easier and hassle-free for the general public,” said Manuel C. Alberto, President and General Manager of Philippine Family Mart CVS, Inc. Since its launch in 2015, the tap-and-go beep™ card has modernized payment, having unified the way Filipinos pay in all three elevated railways (LRT 1, 2 and MRT 3), select bus lines, and the Cavite Expressway. There are currently over 2.5 million beep™ cards in circulation. More information may be obtained at the website and on Facebook (beep card) and Twitter (@beep_card).